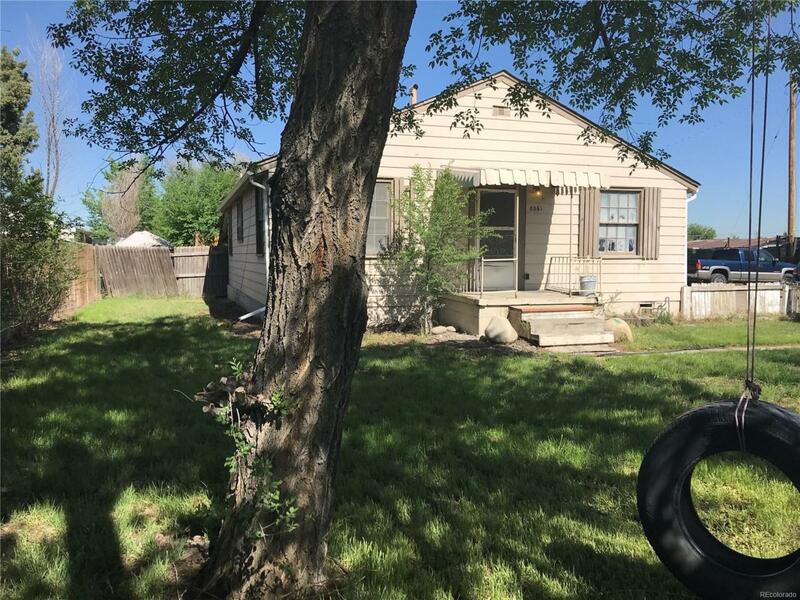 Come see the charm of this ranch home in Commerce City. This property sits on a 1/2 acre lot and is being sold with the 1/2 acre directly adjacent (MLS #9234544) Total list price is $365,000. The yard by the house is surrounded by a picket fence, has a sprinkler and ready for you to make it a great home. Interior features new laminate flooring, nice architectural detail, a nice sized kitchen with the ability to install either an electric or gas range. There is an laundry room and a door directly accessing the attached carport. Easy access to Highway 76 and 85. Perfect for a variety of uses - Come see this one today.